It was not business as usual in the state Capitol Monday, as protesters calling for anti-poverty measures and a more affordable California interrupted a floor session of the state Senate. Members of the California Poor People’s Campaign have been rallying outside the Capitol building weekly for the last month. The most recent protest marked the 50th anniversary of the Poor People’s Campaign and March, which was organized by Martin Luther King Jr.
Chief among the concerns of the campaign were the issues of housing, homelessness and workers’ rights. Citing that “8 million Californians pay half or more of their income for rent,” the group demanded the establishment of a “human right to housing.” Additionally, they argue the state should invest more in affordable and low-income housing, as well as rent control and more protections for renters and tenants. When taking into account the cost of living, California has the highest poverty rate in the country. By the normal metric, the Golden State comes in 35th. The Campaign also called for a homeless bill of rights, which, among other things, would safeguard the right of people to sleep in legally parked cars and sleep in public areas. The group also endorsed several bills that would divert some of California’s budget surplus toward affordable housing. Finally, the group reiterated demands for measures to protect workers’ rights. These measures include Assembly Bill 2946, which would extend the statute of limitations for prosecuting wage theft and AB2293 and SB1412, which would reduce barriers to employment for those with certain prior convictions. 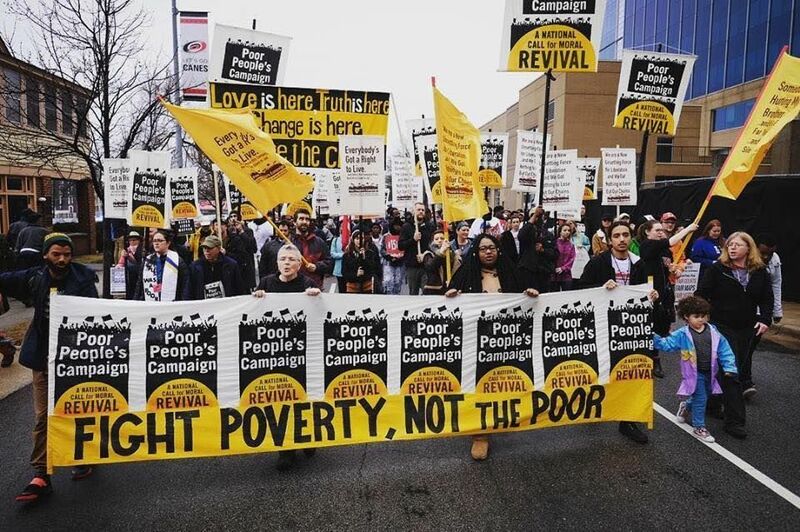 The Poor People’s Campaign expects to be back in action Monday.